The professional American football team now known as the Los Angeles Rams was established in Cleveland, and played there from 1936 to 1945. This article chronicles the team's history during their time as the Cleveland Rams. The Rams competed in the second American Football League (AFL) for the 1936 season and the National Football League (NFL) from 1937–1945, winning the NFL championship in 1945, before moving to Los Angeles in 1946 to become the only NFL champion ever to play the following season in another city. The move of the team to Los Angeles helped to jump-start the reintegration of pro football by African-American players and opened up the West Coast to professional sports. After being based in Los Angeles for 49 years, the Rams franchise moved again after the 1994 NFL season to St. Louis. In 2016, the team moved back to Los Angeles after 21 seasons in St. Louis. Coached by Wetzel, and featuring future Hall-of-Fame coach Sid Gillman as a receiver, the team finished 5-2-2 in its first season in 1936, good for second place behind the Boston Shamrocks. The team might have hosted an AFL championship game at Cleveland's League Park; however, the Boston team canceled because its unpaid players refused to participate. The Rams then moved from the poorly managed AFL to the National Football League in February 1937. Marshman and the other Rams stockholders paid $10,000 for an NFL franchise, then put up $55,000 to capitalize the new club, and Wetzel became general manager. 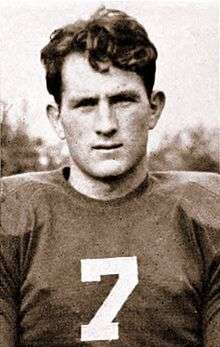 Under head coach Hugo Bezdek and with sole star Johnny Drake, the team's first-round draft pick, the Rams struggled in an era of little league parity to a 1-10 record in 1937 under heavy competition from the NFL's "big four": the Chicago Bears, Green Bay Packers, New York Giants, and the Washington Redskins. After the team dropped its first three games of 1938, Wetzel was fired, then Bezdek. Art Lewis became coach, and guided the team to four victories in its last eight games and a 4-7 record. Future Hall-of-Famer Dutch Clark was named head coach for the 1939 season, and with Lewis as his assistant and with star back Parker Hall on the squad, the Rams improved to 5-5-1 in 1939 and 4-6-1 in 1940 before falling back to 2-9 in 1941, the year that Dan Reeves, a New Yorker with family wealth in the grocery business, acquired the team. The Rams bounced back to 5-6 and a third-place finish in 1942, but in the heavy war year of 1943, when many NFL personnel including Rams majority owner Reeves had been drafted into the military, they suspended play for one season. The franchise began to rebound in 1944 under the direction of general manager Chile Walsh and head coach Aldo Donelli, the only man both to participate in a World Cup game and coach an NFL team. With servicemen beginning to return home, and with the makings of a championship team that included ends Jim Benton and Steve Pritko, backs Jim Gillette and Tommy Colella, and linemen Riley Matheson and Mike Scarry, the team improved to 4-6 in 1944, defeating the Bears in League Park and the Detroit Lions in Briggs Stadium. The only loss on the Rams' 9-1 regular-season record came to the Philadelphia Eagles (who, interestingly were the only team the Rams had defeated in their inaugural 1-10 season in 1937). Otherwise Cleveland plowed through the powers that had held a championship hegemony in the NFL since the early 1930s—the Bears, Giants, Packers, and Lions—and defeated the Washington Redskins, 15-14, in the 1945 NFL Championship Game in near-zero degree weather at Cleveland Stadium. Only one month after winning the championship, Reeves overcame initial objections of his fellow NFL owners and announced he would be moving the Rams to Los Angeles. He cited financial losses and poor attendance in Cleveland, but just as likely he had had his eye on the booming L.A. market since buying the team in 1941. He also was leery of competition in the Cleveland market from the incoming Cleveland Browns of the All-America Football Conference, who would be stocked with many Ohio players and coached by former Ohio State coach Paul Brown. The Rams' move opened up the Cleveland market to the new Browns, who would meet with a high degree of initial success in the AAFC and the NFL. At the same time the Rams and their championship were soon forgotten in Cleveland, in part due to a month-long, citywide newspaper strike that paralleled the team's departure, delayed coverage, and muted public outcry. ↑ "NFL Champions 1920-2014". Pro Football Hall of Fame. Retrieved January 16, 2016. ↑ SI Wire (October 20, 2014). "Report: Rams considered most likely team to move to Los Angeles". Sports Illustrated. Retrieved January 16, 2016. ↑ Hal Lebovitz, “Remember the Cleveland Rams?”, Coffin Corner 7 (1985), Professional Football Researchers Association. ↑ Joe F. Carr, ed., Official Guide of the National Football League: 1937 [New York: American Sports Publishing Co., 1937], 43. ↑ Steve Gietschier, “Go west, young Rams,” The Sporting News, January 23, 1995, 7.